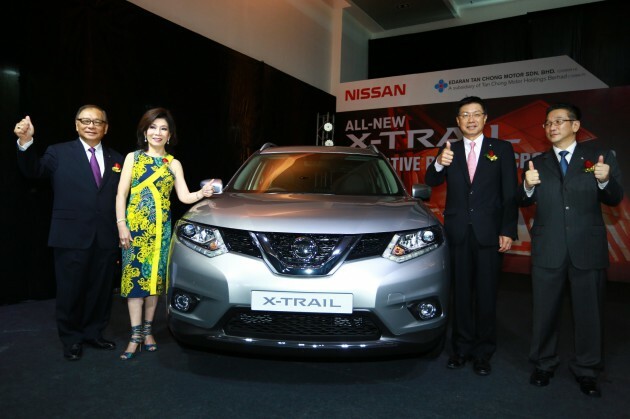 Edaran Tan Chong Motor Sdn Bhd (ETCM) unveiled the All-New Nissan X-Trail on 23 January 2015 in Malaysia. Already a global success, the third-generation All-New X-Trail has won recognition and accolades around the world, most recently “Indonesia Car of the Year 2014” from Mobil Motor Magazine and Auto Bild Indonesia Magazine, and “Car of the Year 2014” award by China Mainstream Media Automobile Alliance in China. 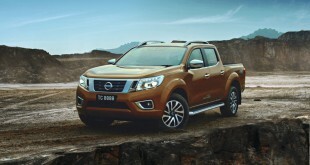 Two variants are available for the Malaysian market; the range-topping 2.5L 4WD, and the 2.0L 2WD. Since pre-booking registrations opened in Malaysia last December, the All-New X-Trail has gathered over 1,300 bookings. The locally-assembled All-New Nissan X-trail boasts ground-breaking Active Chassis Control technology that has been adopted as world-firsts to ensure smooth, stress-free driving experience. The Active Ride Control system moderates any pitching motion experienced by drivers on bumpy roads by controlling engine torque and brakes to improve ride comfort, while the Active Engine Brake system adjusts the amount of engine braking to assist drivers to reduce speed when cornering or stopping. 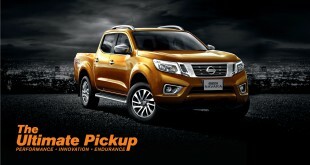 Additionally, the Active Trace Control system – a ‘Nissan-first’ – automatically applies small amounts of braking to the individual wheels to reduce understeer and help the driver maintain control around corners. The 2.5L variant is equipped with an ALL MODE INTELLIGENT 4×4 System (4×4-i), for different driving modes based on road conditions. 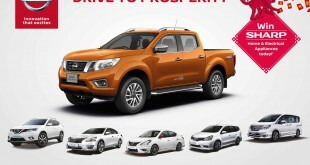 Three modes are available; two-wheel drive, Auto Mode – which automatically changes torque distribution between front and rear wheels when driving on paved or slippery roads, and Lock Mode for permanent four-wheel drive. A feature available in both variants, Hill Start Assist allows drivers to change pedals easily from the brake to the accelerator and carry out a safer hill start. Additionally, Hill Descent Control – available in the 2.5L 4WD variant – controls the vehicle speed (between 4km/h -15km/h) when descending a steep or slippery hill without applying brakes, allowing drivers to focus on steering the vehicle. The range-topping 2.5L 4WD variant is powered with the QR25DE-k2 engine with Twin CVTC, providing maximum power output of 171 PS at 6,000 rpm and 233 Nm of torque at 4,000 rpm. The 2.0L 2WD variant comes with the MR20DD engine with direct fuel injection and Twin CVTC, capable of 144 PS at 6,000 rpm and 200 Nm of torque at 4,400 rpm. Both variants come fitted with Nissan’s Next Generation Xtronic CVT with 7-speed manual mode to ensure a smoother ride and powerful driving performance; and ECO mode system for better fuel efficiency. With a sleek and stylish design that gives it presence on the road guaranteed to turn heads, the All-New X-Trail takes on a number of Nissan signature cues such as Boomerang-shaped LED daytime running lights, the distinctive ‘V’-shaped Nissan grille and Rear Combination Lamp, which are standard for both variants. Unique to the 2.5 4WD variant are first-in-class LED Headlights with auto function and LED Wing Mirror Signal Lights. Roof Rails and 17-inch alloy wheels give the new All-New X-Trail a striking and imposing appearance. A highly refined interior is emphasised with quality soft touch materials on the instrument panel, front door and centre armrest. Touches of chrome, geometric metallic and premium piano black finishing further evoke a sense of modern elegance in its interior ambience. A 5+2 seating configuration makes for an exceptionally spacious cabin, particularly for instances when additional seating is required for children. It also has an impressive load capacity of 1,520 litres (with second and third row seats folded flat); and 550 litres (with third row seats folded flat). Other features that go the extra mile for customer comfort and safety are the Zero-Gravity Inspired’ Seats to help reduce fatigue, a best-in-class 5-inch Advanced Drive Assist Display (ADAD) for ease during driving, and a first-in-class 360° Around View Monitor for added parking convenience. 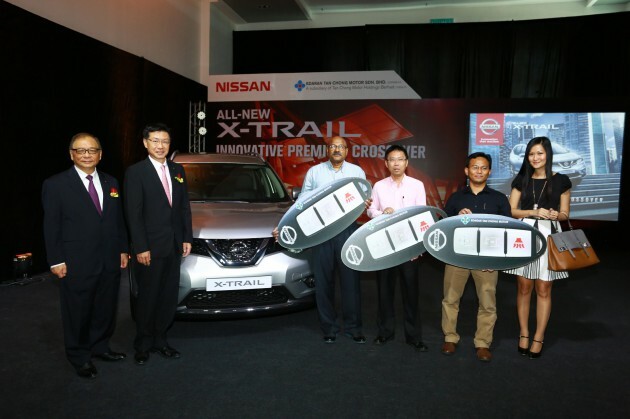 During the launch, ETCM also presented keys to the first three Malaysian owners of the All-New X-Trail, Mr Chea Yaw Hwa, Ahmad Sulhi bin Ghazali and K.B Moganarajan A/L K.T Balakrishnan. 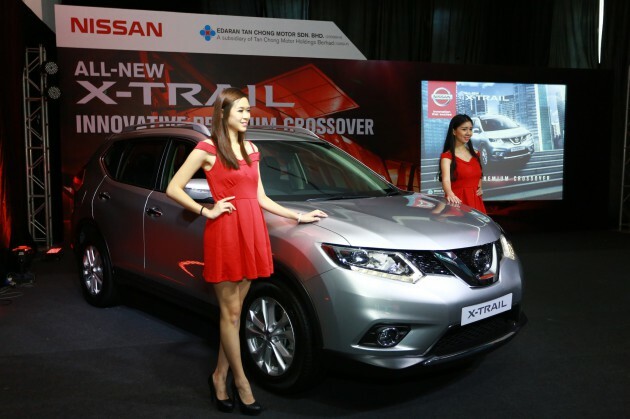 The All-New Nissan X-Trail is priced at RM165,800 for the 2.5L 4WD, and RM142,800 for the 2.0L 2WD (on-the-road prices with insurance for Peninsular Malaysia). It is available in five (5) colours – Tungsten Silver, Titanium Olive, Diamond Black, Graphite Blue and Brilliant White. 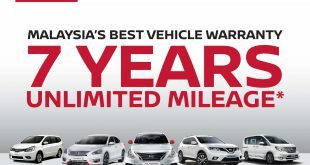 In conjunction with the launch of the All-New X-Trail, ETCM is offering three (3) years or 100,000km warranty (whichever comes first), and free three (3) years maintenance service with every purchase.